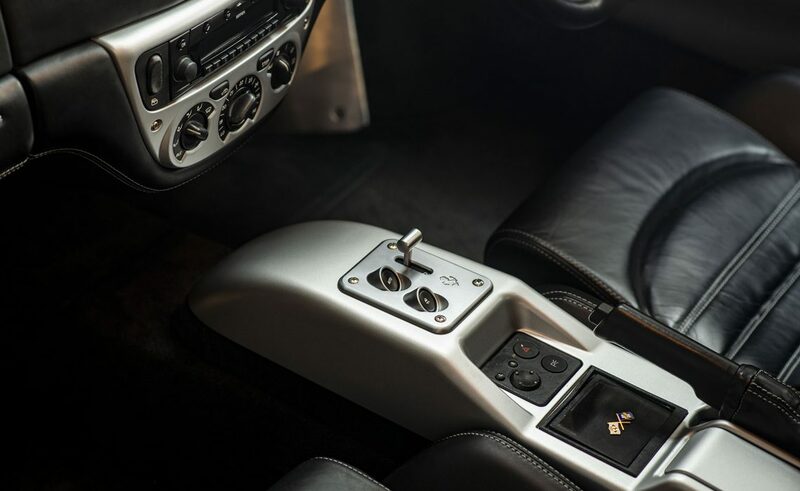 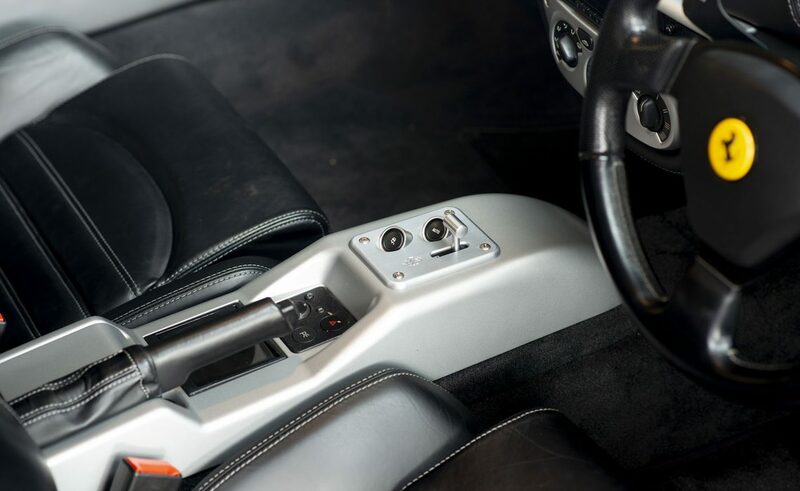 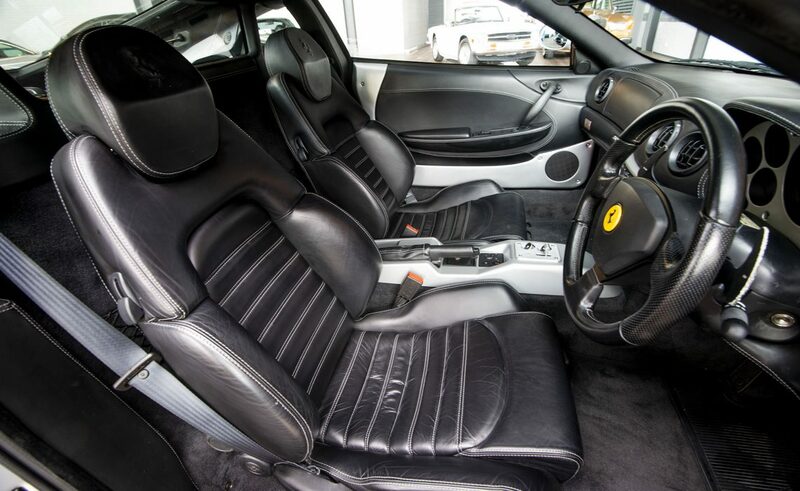 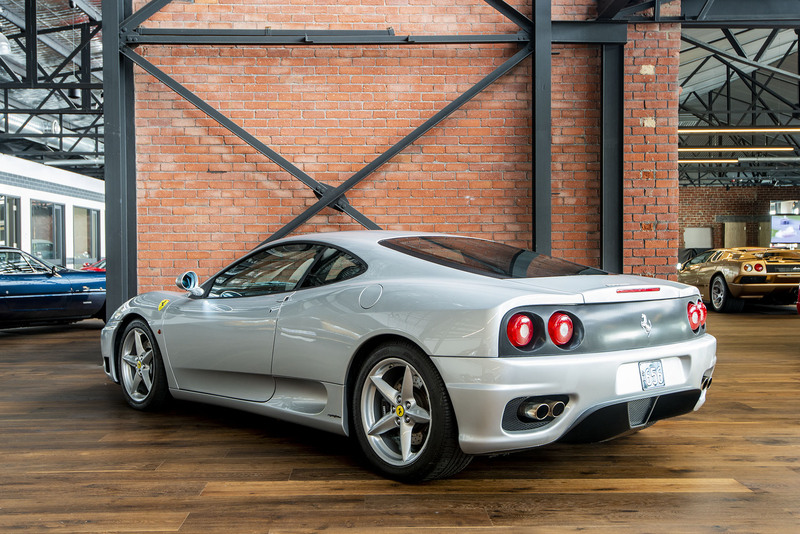 An excellent low kilometre 360 Coupe with F1 transmission finished in Argento Nurburgring (silver metallic) and contrasting black interior with leather seats. 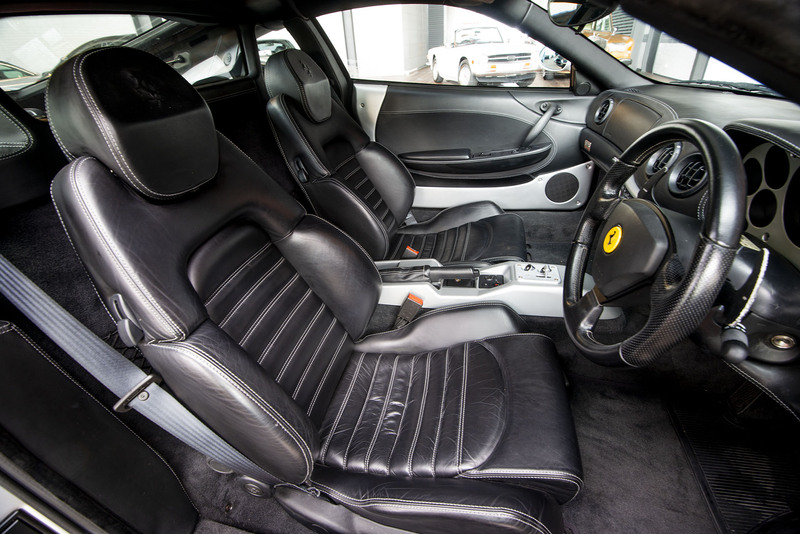 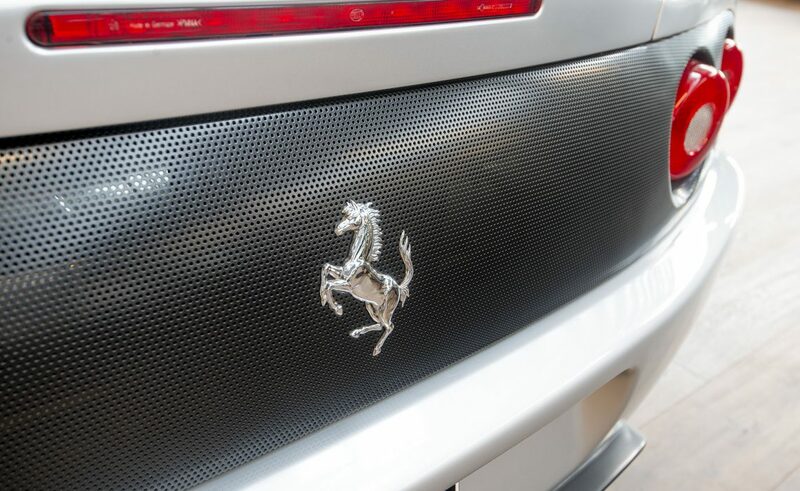 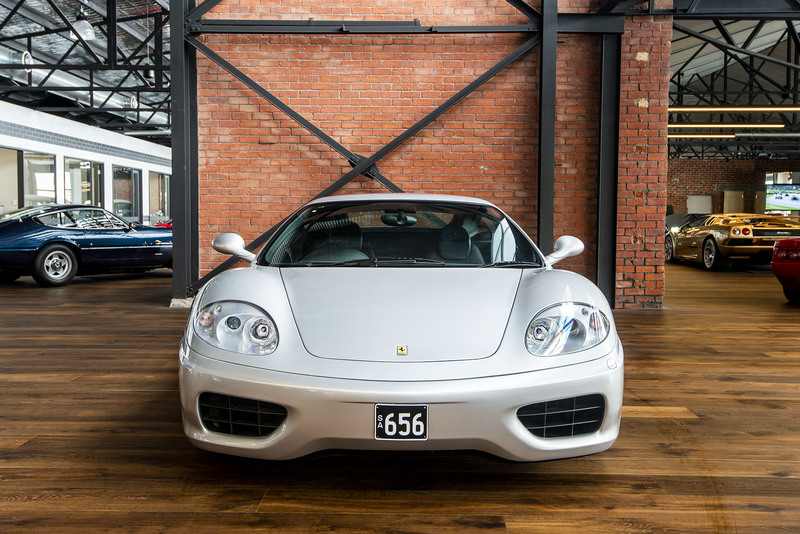 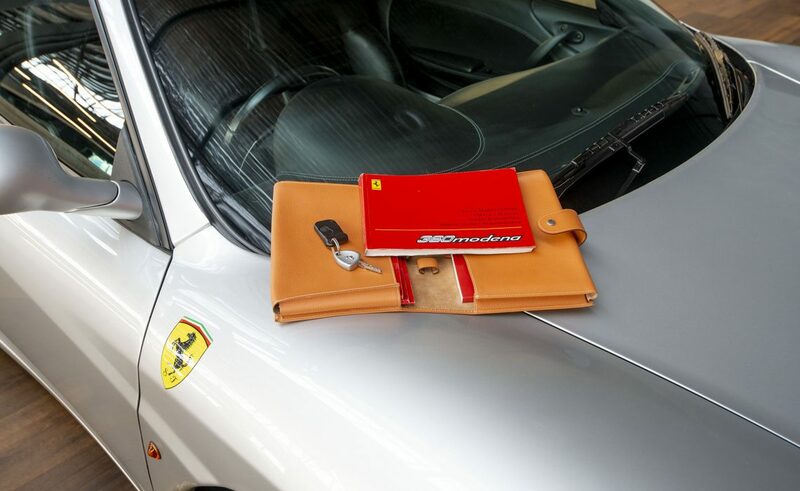 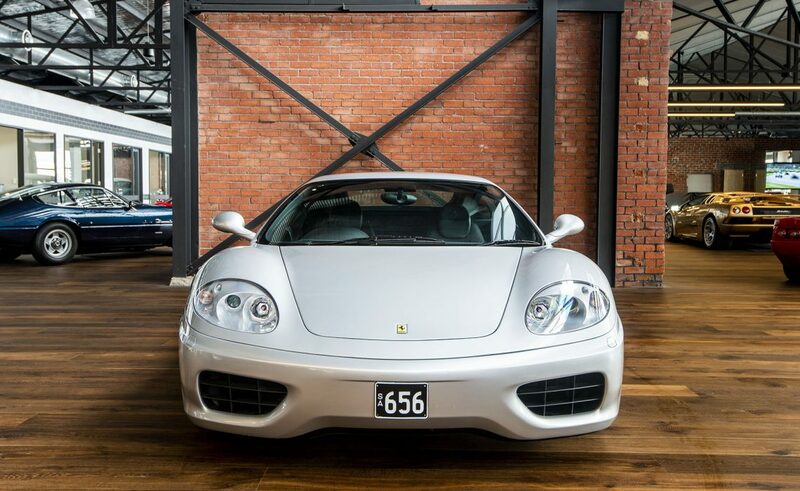 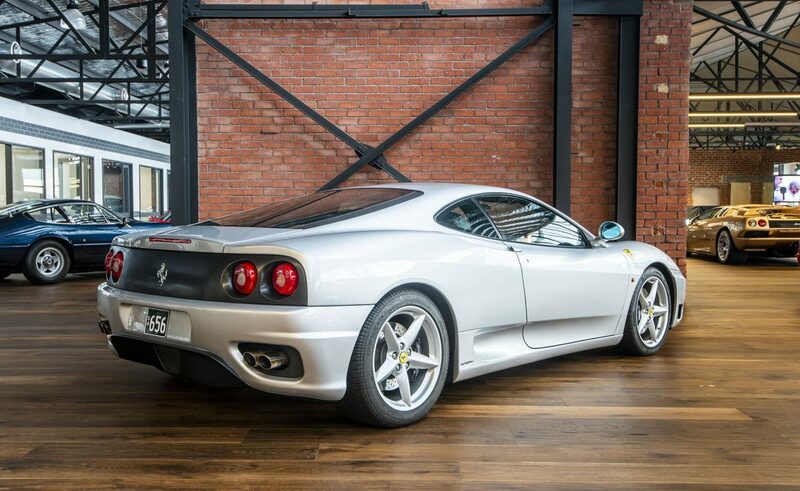 Delivered new in Australia by Sydney Ferrari dealer Scuderia Veloce on 10/10/2002. 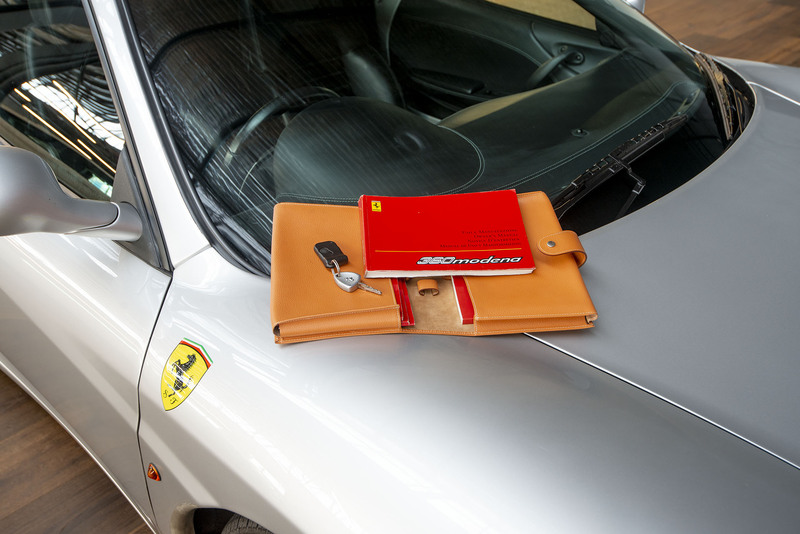 This 360 is supplied with all the original hand and service books plus the complete tool kit. 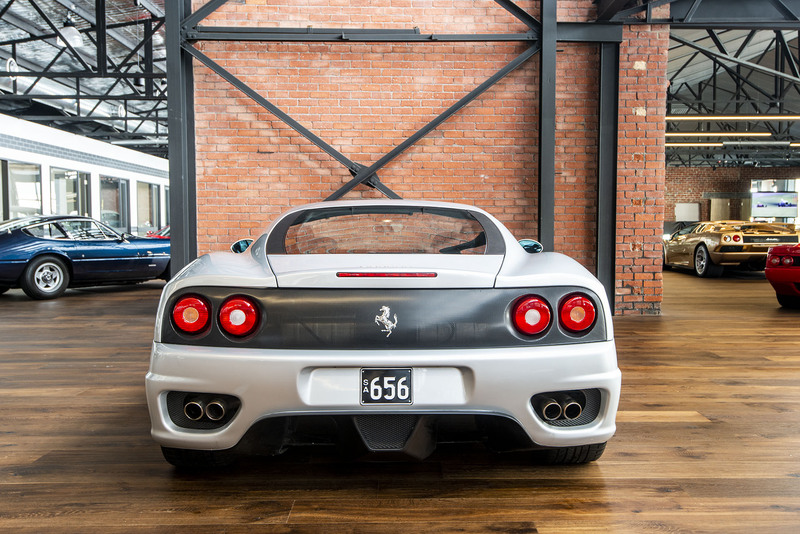 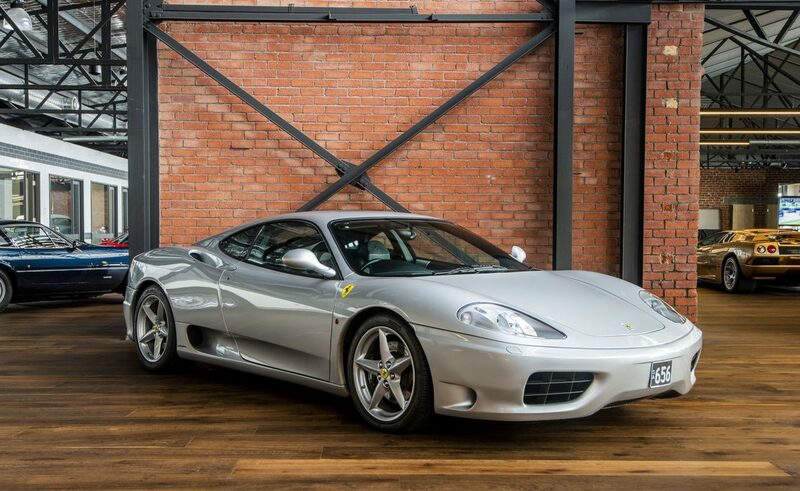 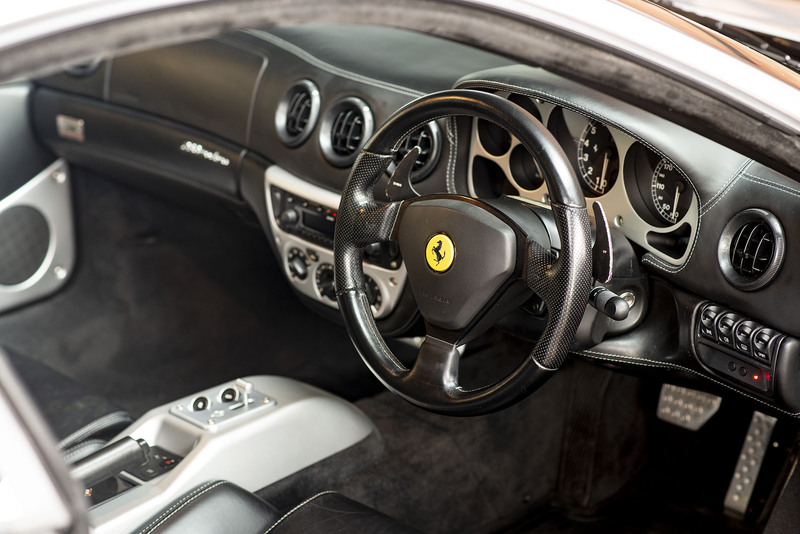 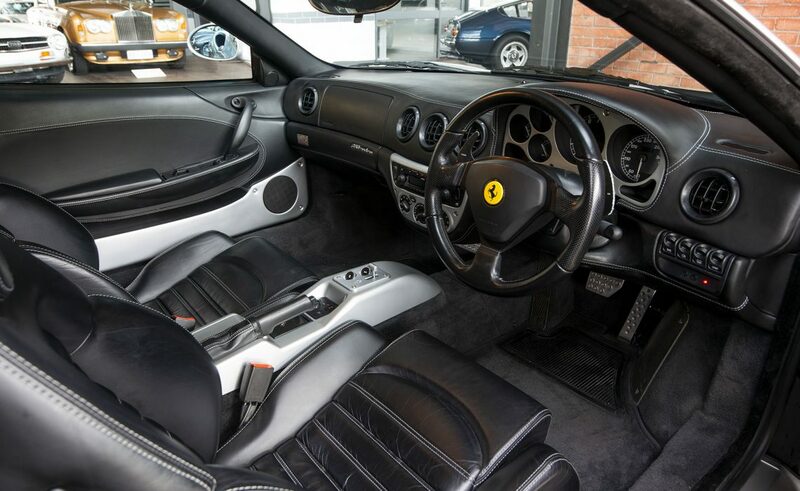 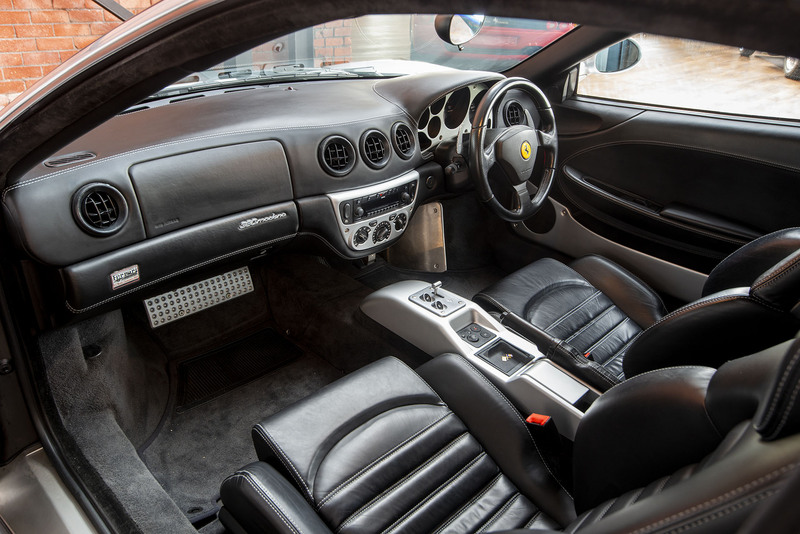 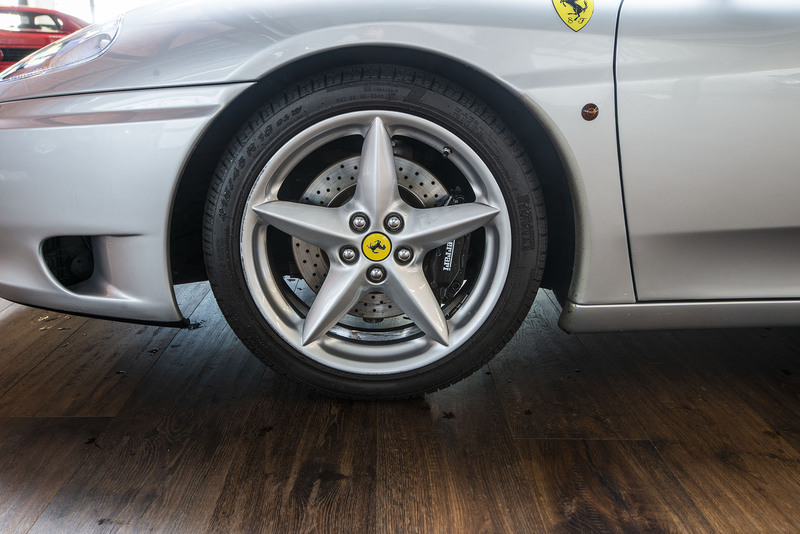 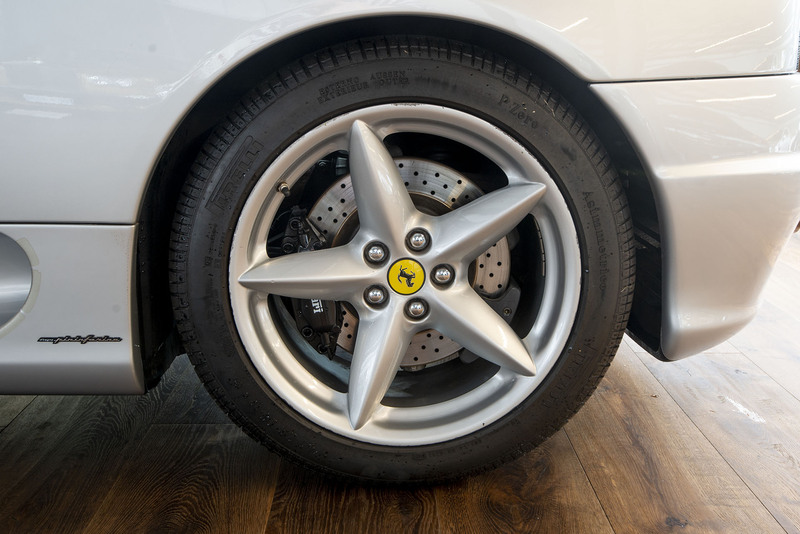 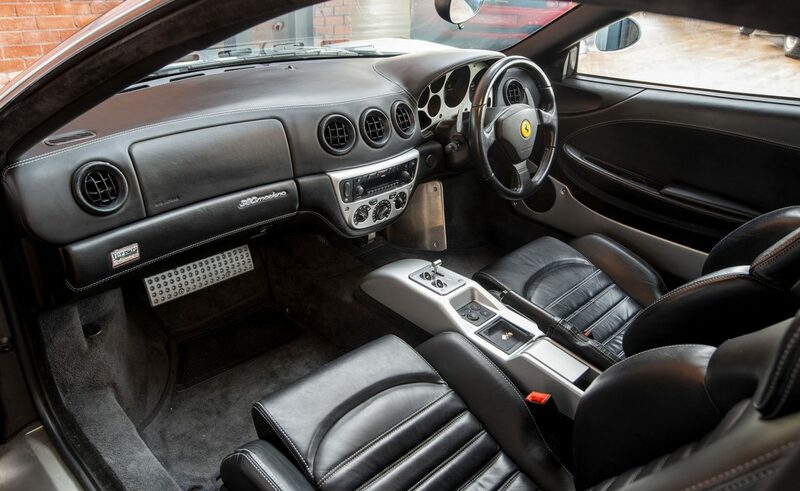 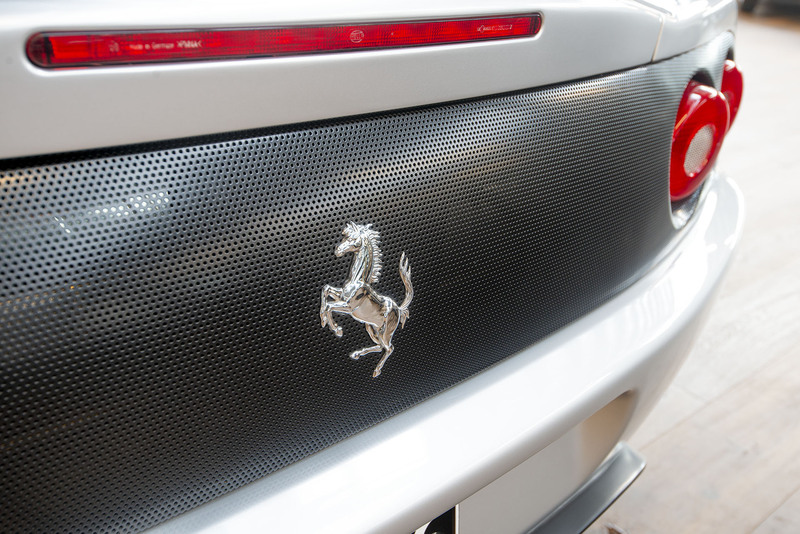 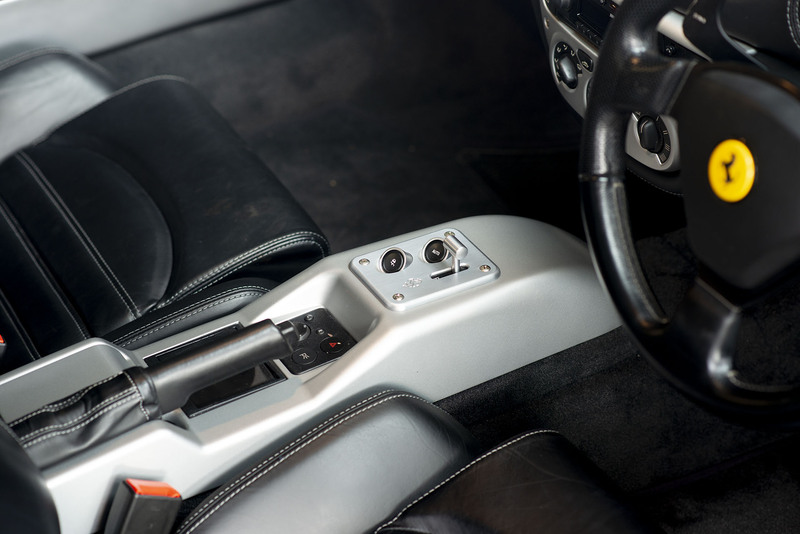 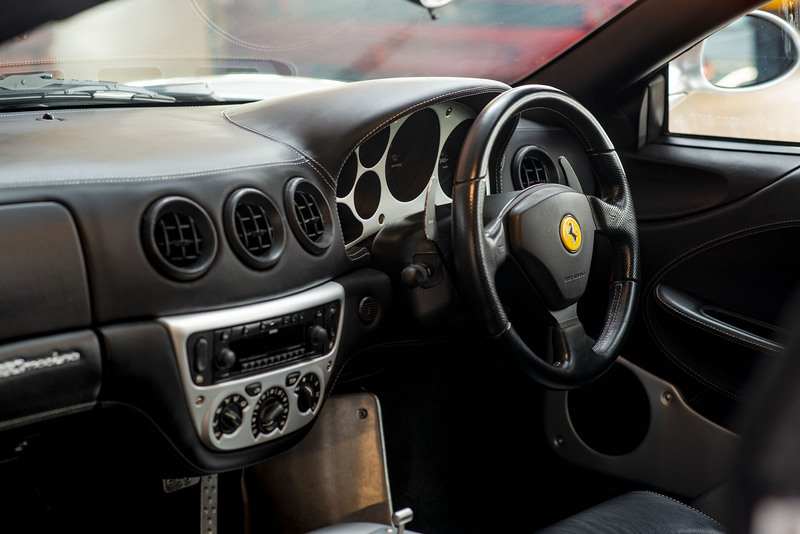 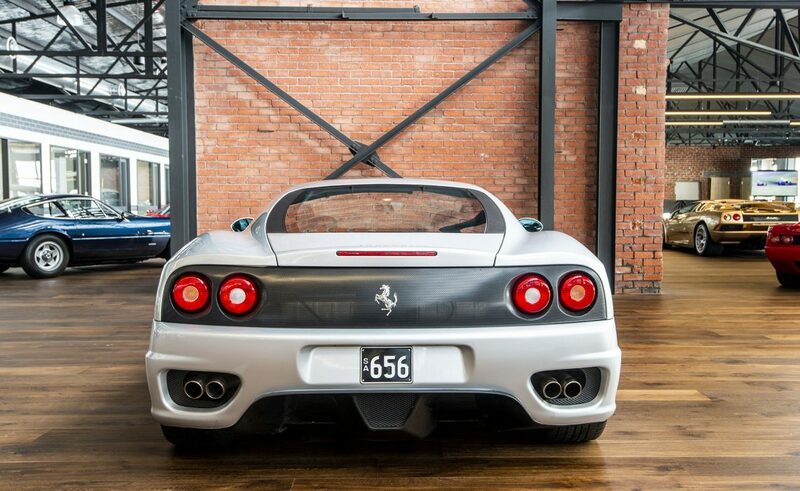 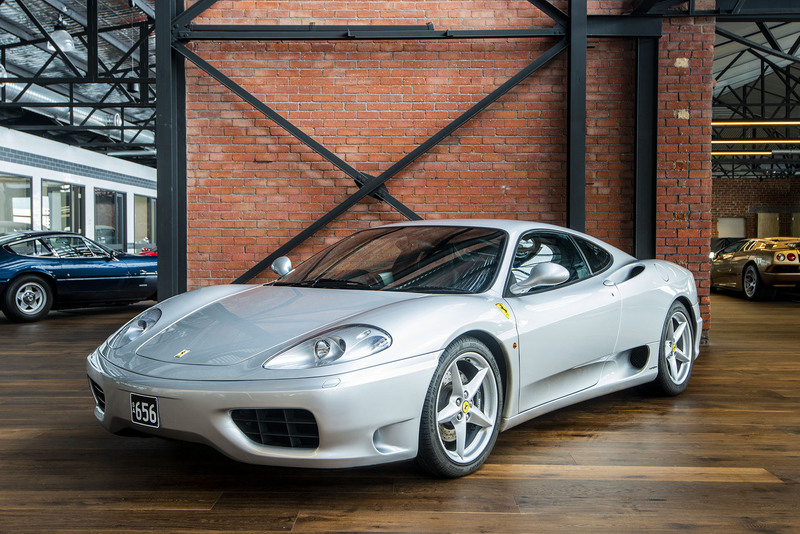 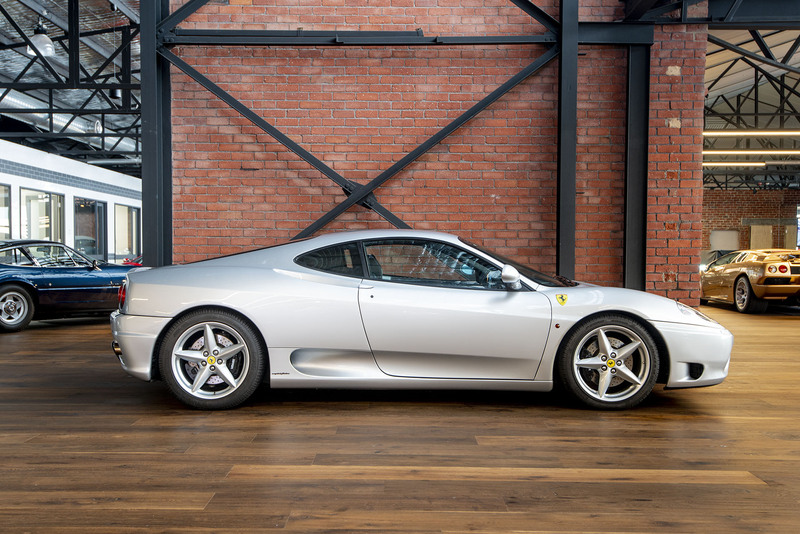 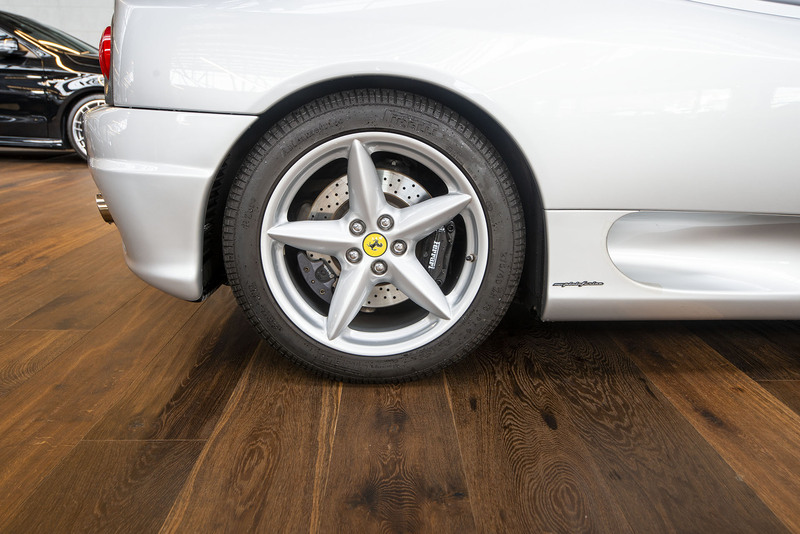 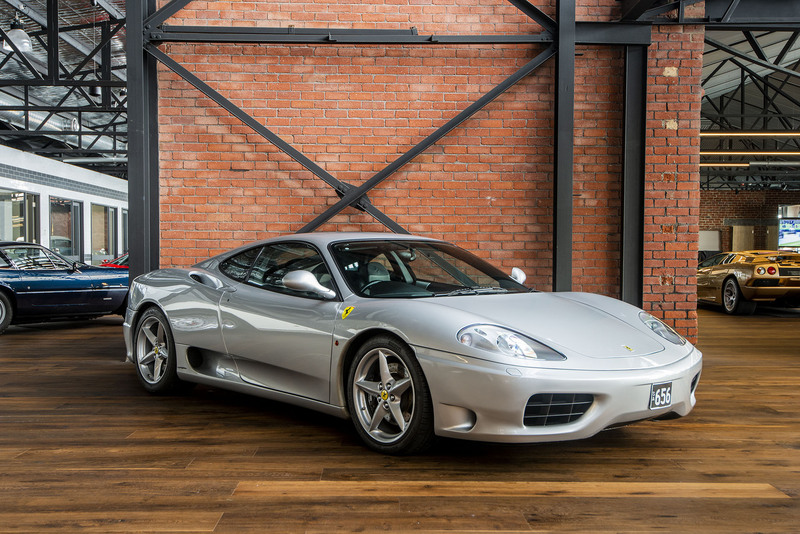 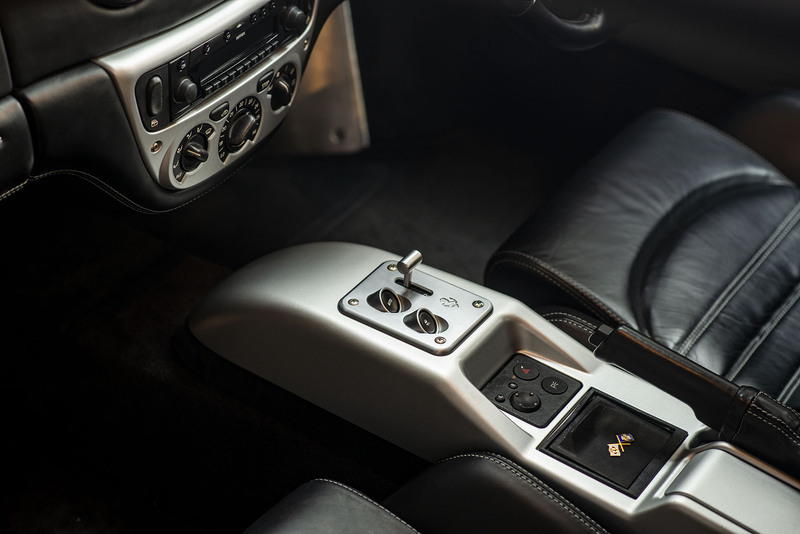 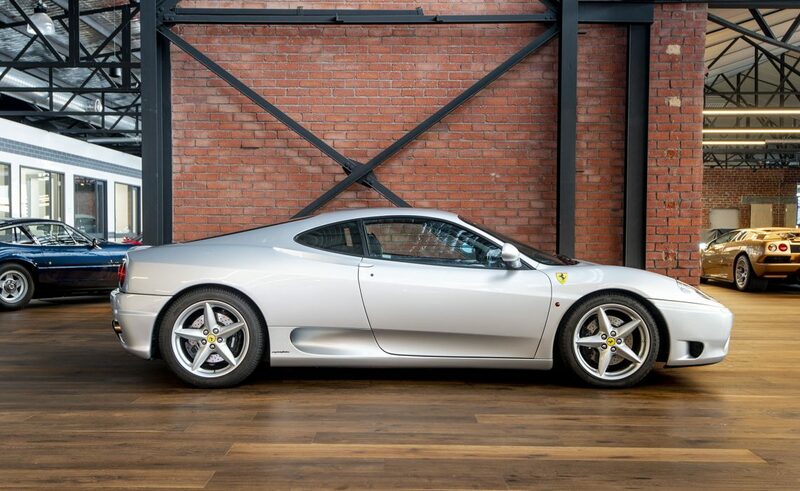 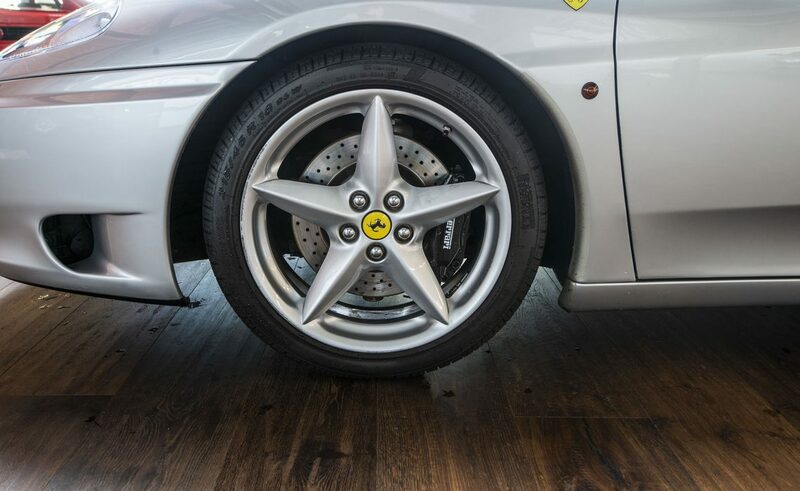 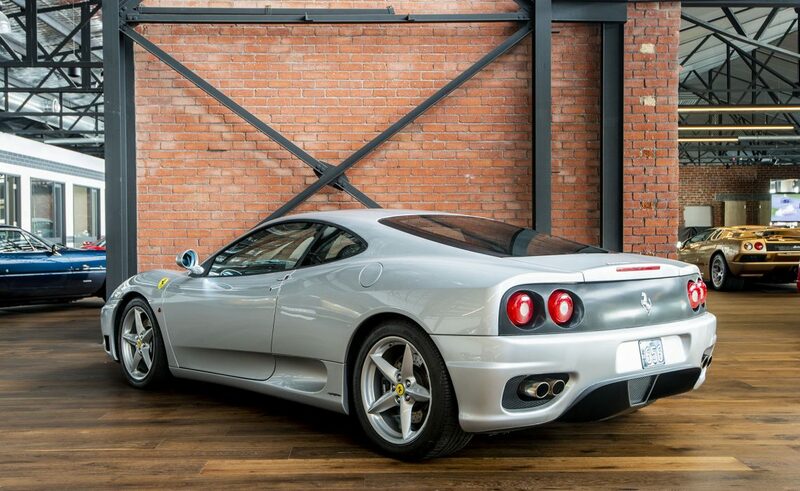 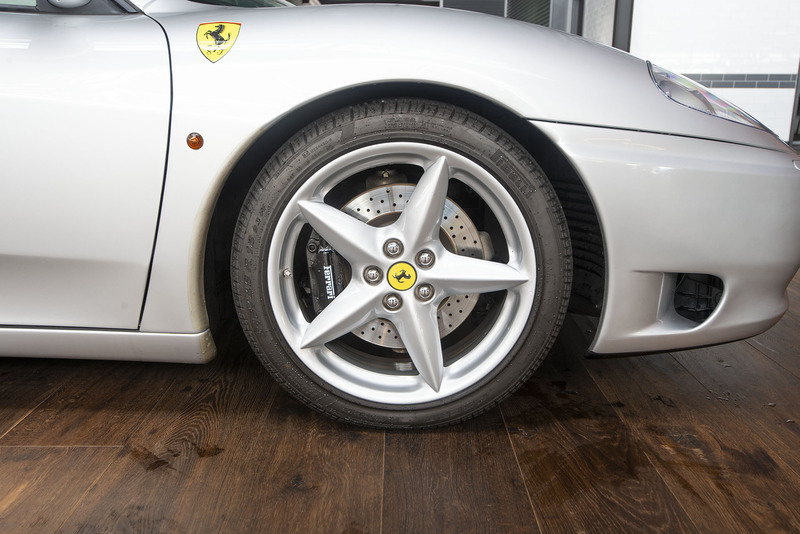 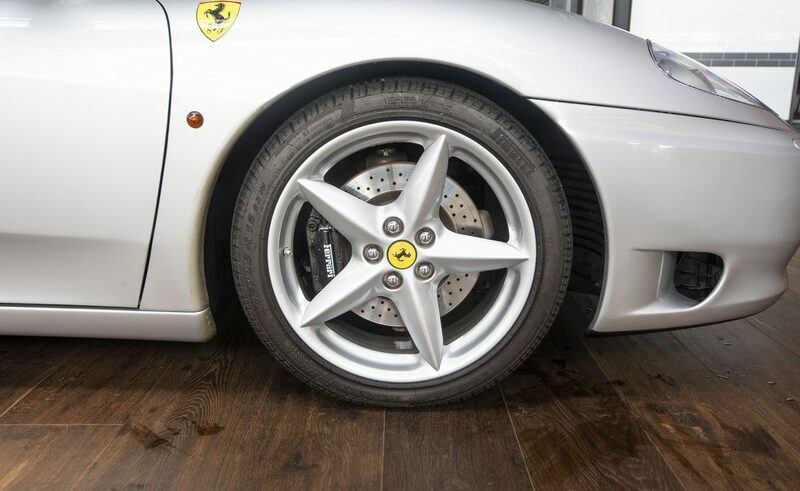 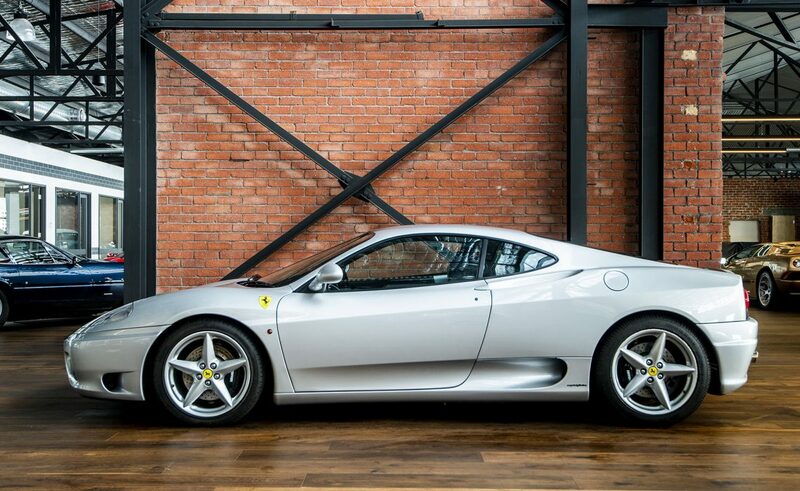 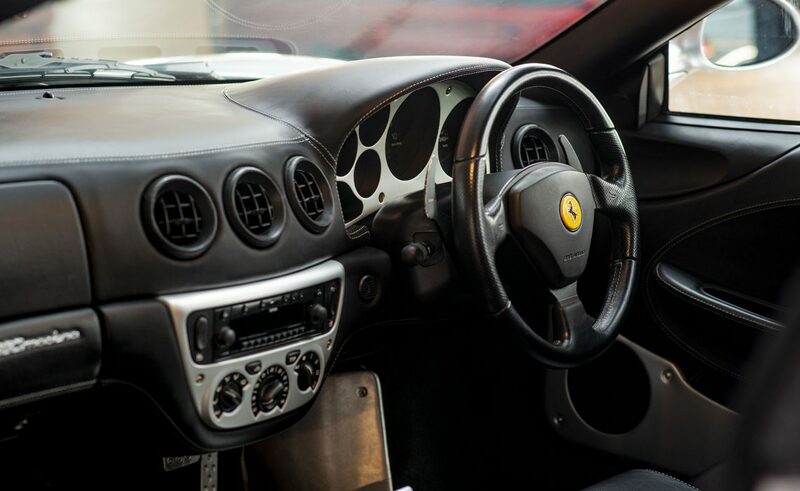 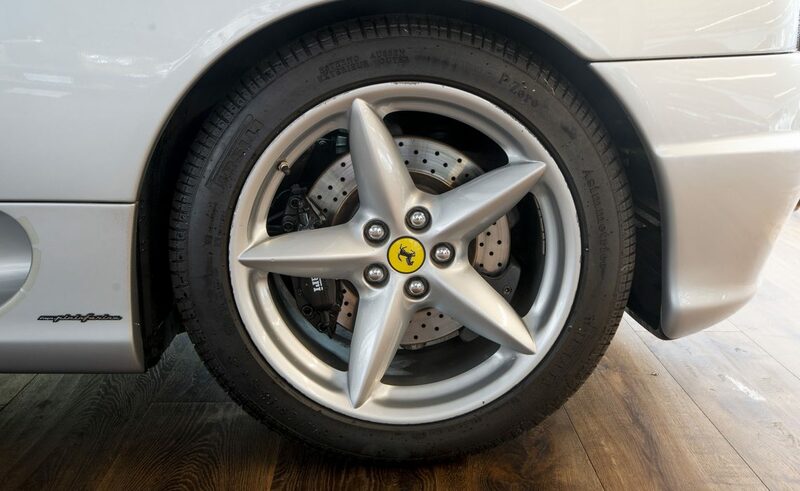 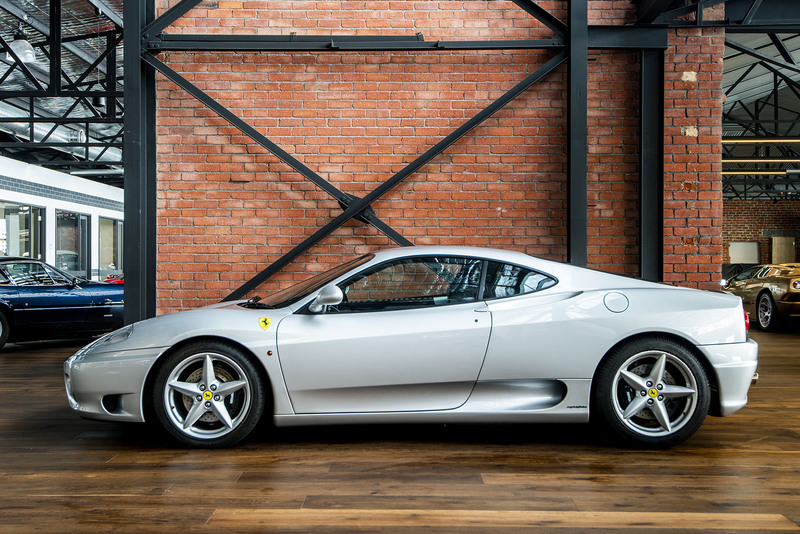 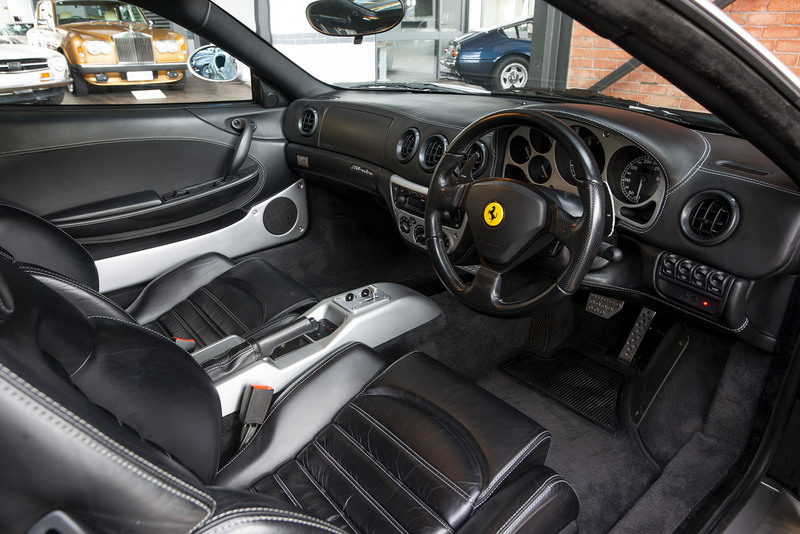 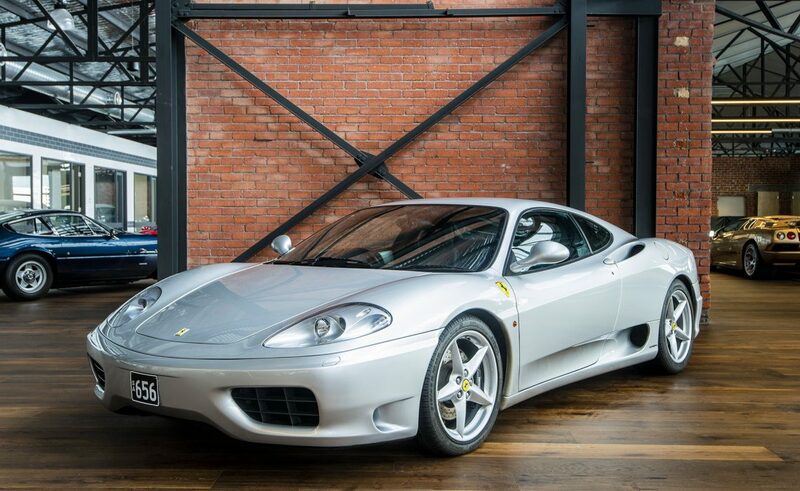 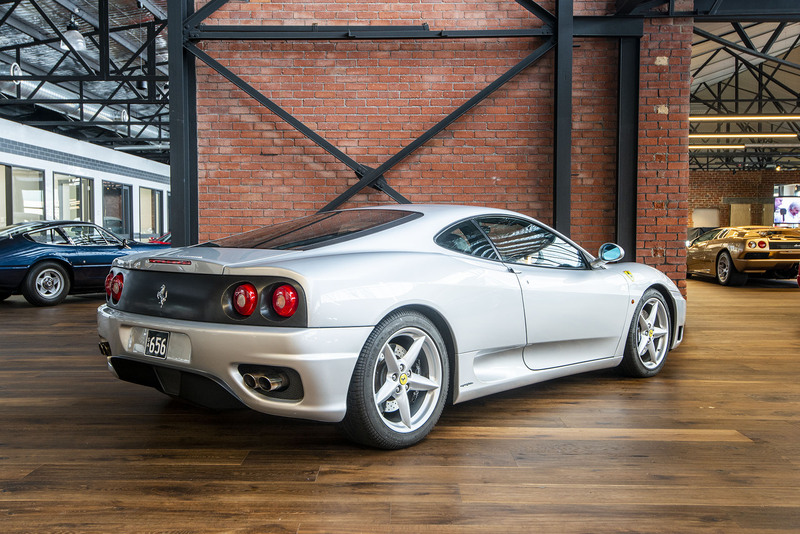 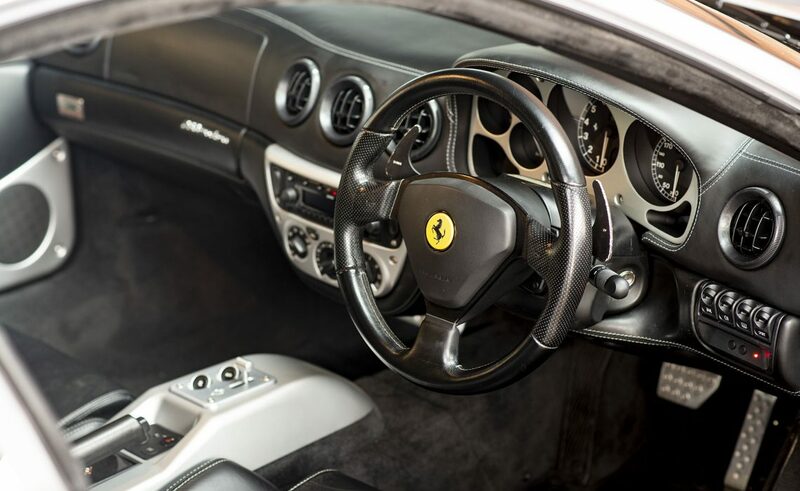 As the successor to the F355, the new 360 was 28% lighter due to an all-aluminium space-frame chassis. 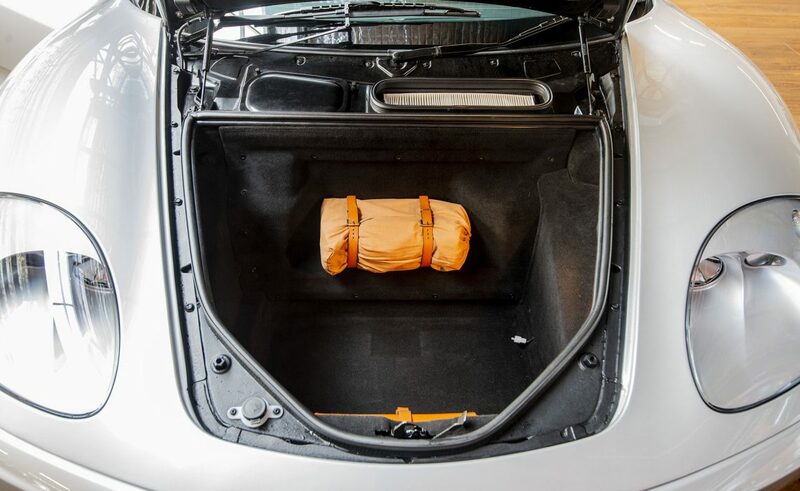 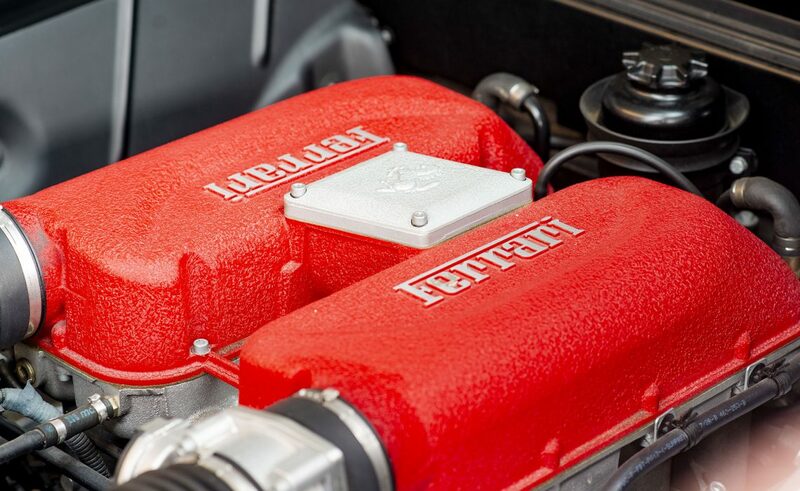 The new 3.6 litre V8 5-valve engine featured titanium connecting rods delivering 295kW / 395 bhp. 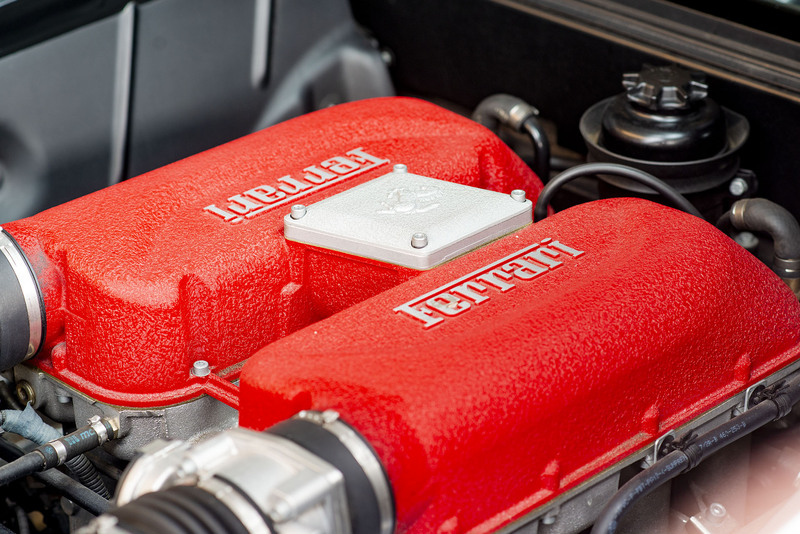 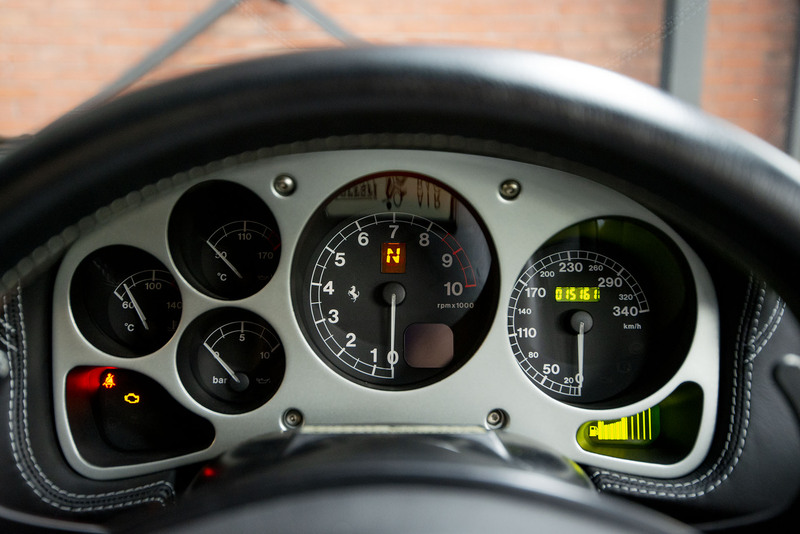 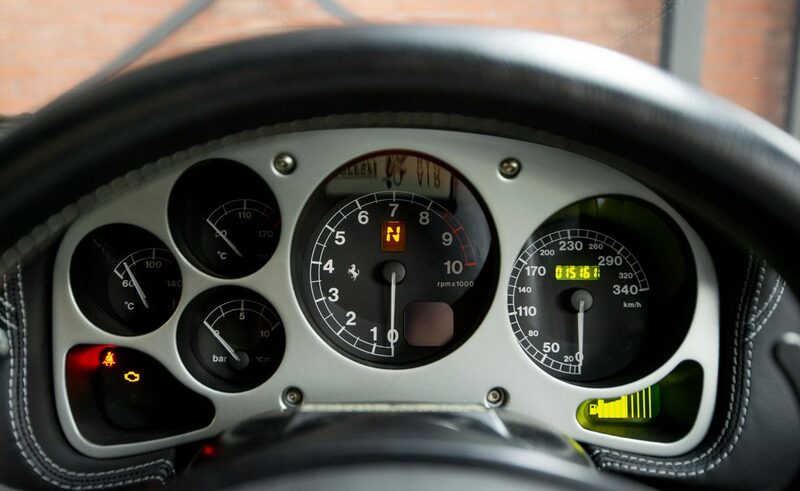 Redline is a whopping 8,700 rpm and maximum torque of 373nM at 8,700 rpm. 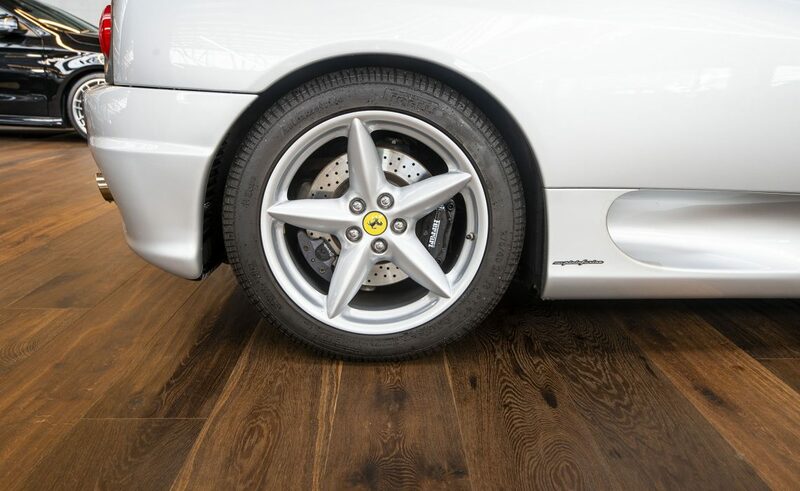 This well cared for example is now on display in our new showroom.